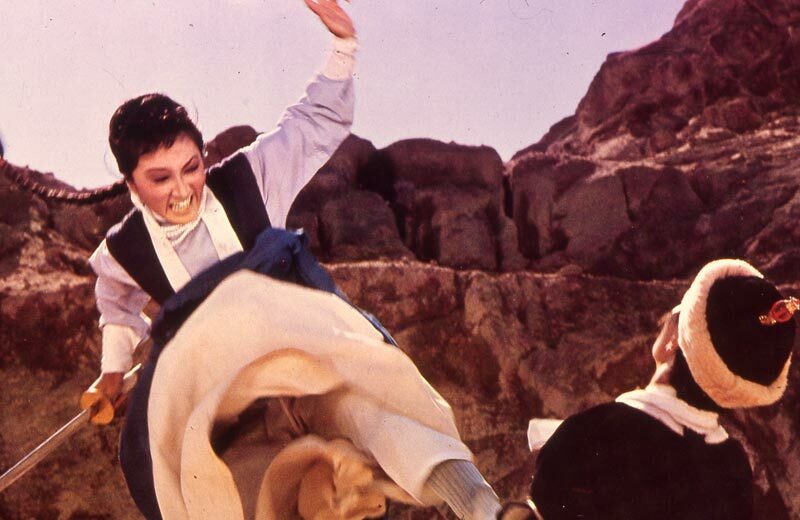 Film Movement Classics has provided ComingSoon.net with the exclusive trailer for the newly restored 1973 kung-fu classic The Fate of Lee Khan, which premieres in NYC this Friday. Check out the trailer below, and click here to purchase tickets! One of the ultimate achievements of King Hu, the foremost genius of the high- flying, sword-swinging wuxia—or “martial heroes”—film. Following the model of his Dragon Inn, Hu again centers the action at a roadside respite, this one a veritable hot pot of simmering conflict, where girl-gang undercover resistance fighters are pitted against oppressive Mongols, as the Chinese underground tries to stop a traitor from passing vital information to warlord Lee Khan. The ensuing struggle is highlighted by wry comic moments, masterful mise-en-scene, and breakout fight scenes from choreographer Sammo Hung, who has a bevy of deadly female stars leading the charge, including Hong Kong cinema stalwart Li Li-hua and martial arts ingénue Angela Mao. The newly restored 2K version of The Fate of Lee Khan will have its premiere on April 5 at NYC’s Metrograph Theater. It will have select dates in other markets as well, and arrive on Blu-ray for the first time in North America as well as digital this July.